If you forget what's in your fridge and how long it’s been percolating in there, no doubt you'll open the door someday soon to find a very pungent smell. Even if you get rid of the offending culprit, the stench can still stick around for weeks afterward. In addition, food that hasn't gone bad can still offer up an odor that seeps into your fridge. Here's how to tackle and remove refrigerator odor. Don't bother giving your fridge a good cleaning until you locate and eliminate the smelly source. Look for any expired food or anything that's more than a week old. Sniff it and chuck it if it emanates an odor or if you notice mold. Check the produce drawer for anything that's turned to mush or is seeping liquid. Next, take everything out of the fridge and put your food in a cooler. Then remove the shelves and clean them with hot water and soap. Now, sanitize them with a mixture of 1 tablespoon chlorine bleach to 1 gallon of water. Wash down the walls, ceiling and base of the fridge along with the interior of the door interior and gasket. Dry with a towel and put your items back inside. If the odor persists, there are some other options, we'll discuss those in more detail below. Baking soda: Spread a layer of baking soda on a cookie sheet and place it in the refrigerator overnight or until the refrigerator odors are gone. Fresh coffee grounds: Spread a layer of fresh coffee grounds over the bottom of a cookie sheet and place in the refrigerator overnight. A coffee smell will linger but will disappear quickly. Activated charcoal: Activated charcoal is available at most pet stores. Spread a layer of activated charcoal over the bottom of a cookie sheet. Place the cookie sheet in the refrigerator for a few days, until the odors are gone. Unscented cat litter: Place a layer of unscented cat litter on the bottom layer of a cookie sheet and place in the refrigerator for a few days until the odors are removed. Essential oil: Douse a few cotton balls with vanilla essential oil or extract and put them in the refrigerator. Close the door for 24 hours. Newspaper: Stuff wads of newspaper in the fridge's drawers and shelves and keep the door closed for a few days. Then remove the paper and wash the fridge down with a mixture of 1 cup white vinegar per 1 gallon of water. 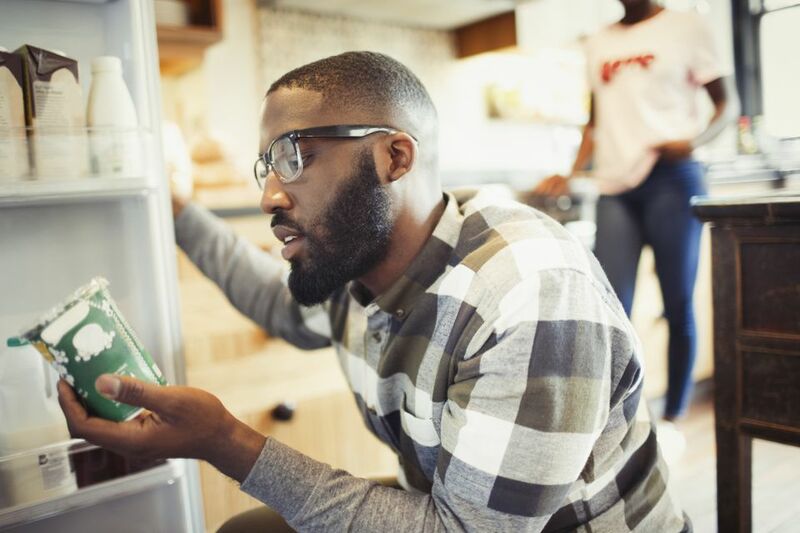 Contact the manufacturer: If your fridge is fairly new and has a manufacturer's warranty, you might be able to get assistance from the company. Contact them and have the fridge's model number handy. If the odor is due to a product defect, free repair or replacement might be in order. For instance, if the fridge's dual-evaporator system isn't working, which keeps odors from transferring between compartments, you might have bad smells in various places.